Did you know there are over 150 businesses located throughout the seven miles of tunnels under downtown Houston? 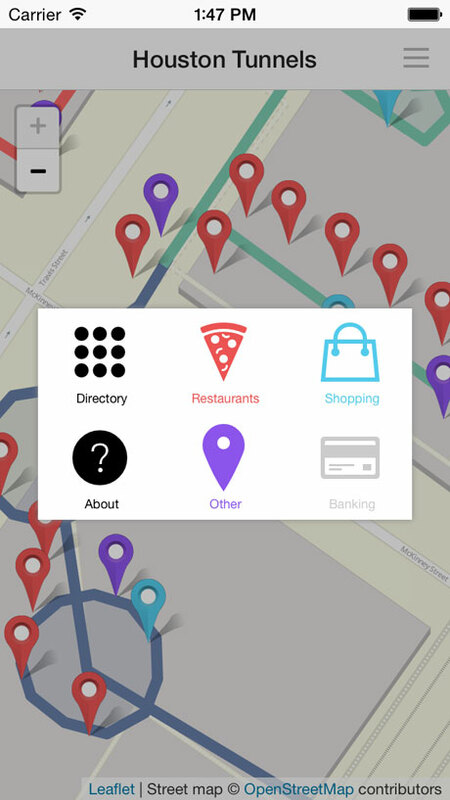 But there's no directory that lists all of these restaurants, shops, salons, doctor's practices, and more - until now. 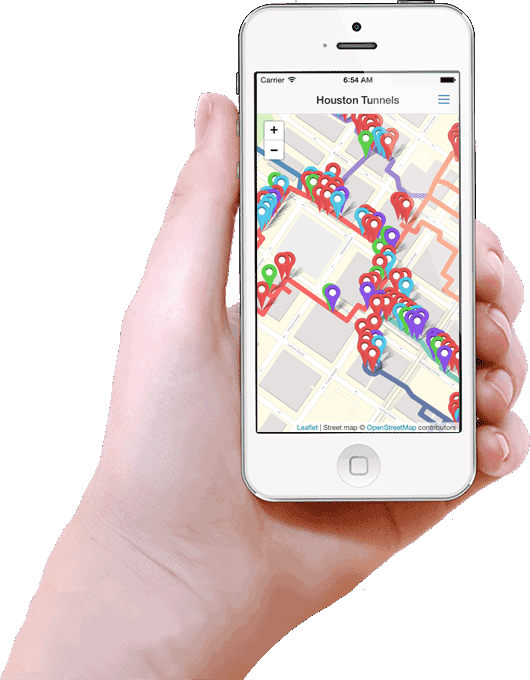 The Houston Tunnels app maps out all of the underground tunnels and marks each business. 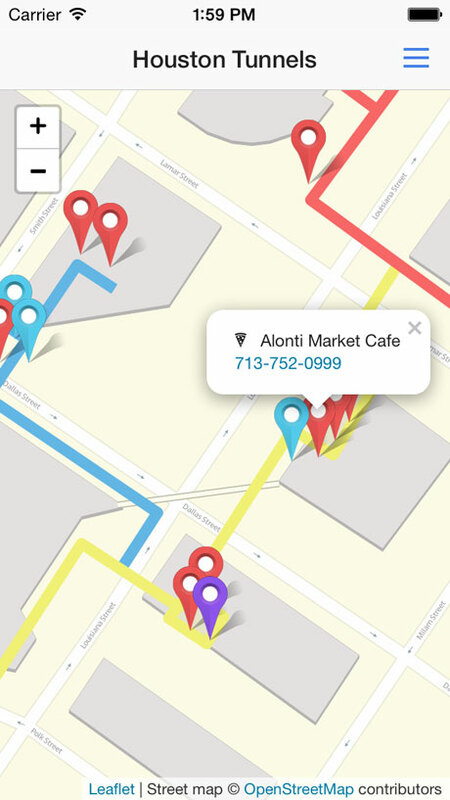 This app can help you find what's near you, discover a new place to grab a bite, or get flowers for that special someone when you need them most.  The maps are part of the app so you have them at any time, even deep underground without Internet. 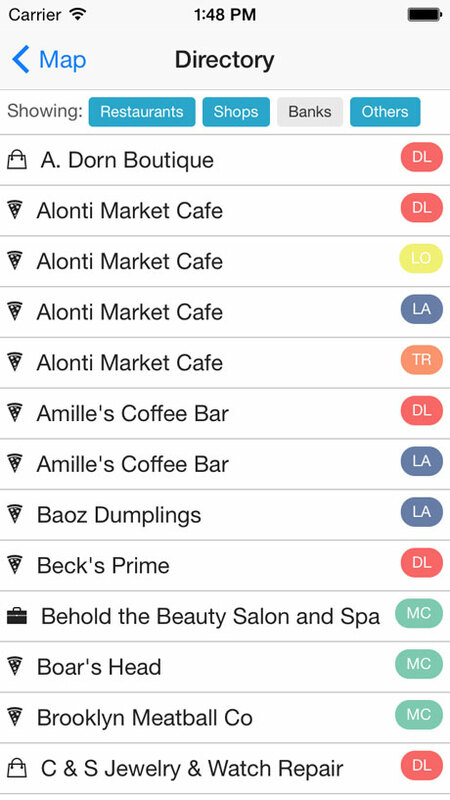 A full directory of all restaurants, shops, and businesses in the tunnels, categorized for easy access. 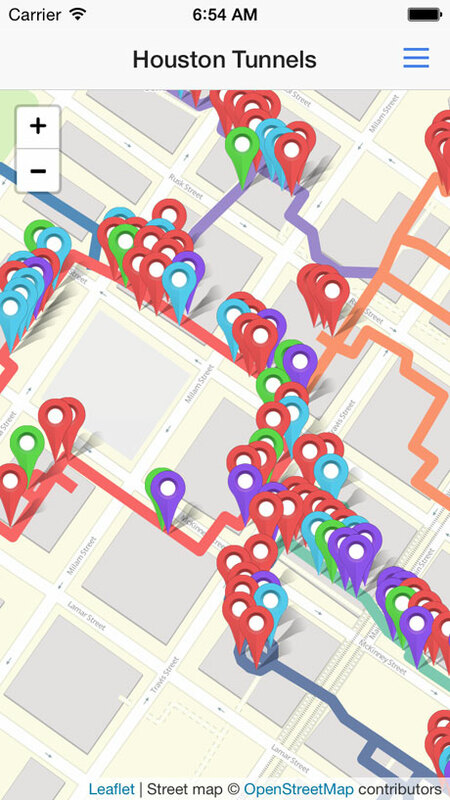 Includes street-level maps as well, making it easy to figure out if over or underground would be faster. "The tunnels can be confusing, but this directory makes it so easy. Love it!" "I can't imagine my life without it!" Choose your platform and get started!